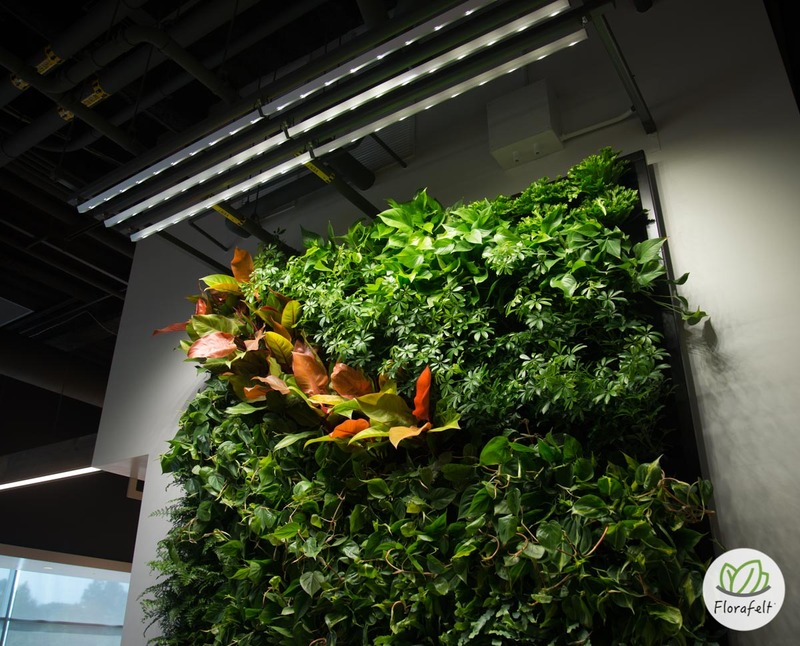 Florafelt living wall created by students at Milken Mills High School in Ontario, Canada. 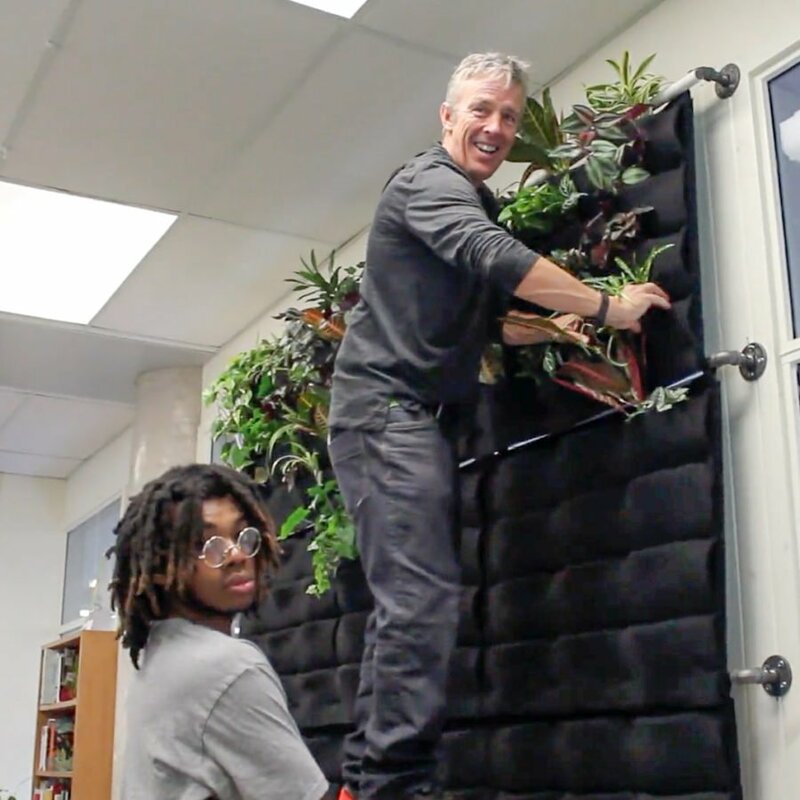 Students chose a variety of houseplants that will flourish indoors, using the Florafelt Plant Wall System. They conceptualized the design, using indoor tropicals to create a unique learning environment. 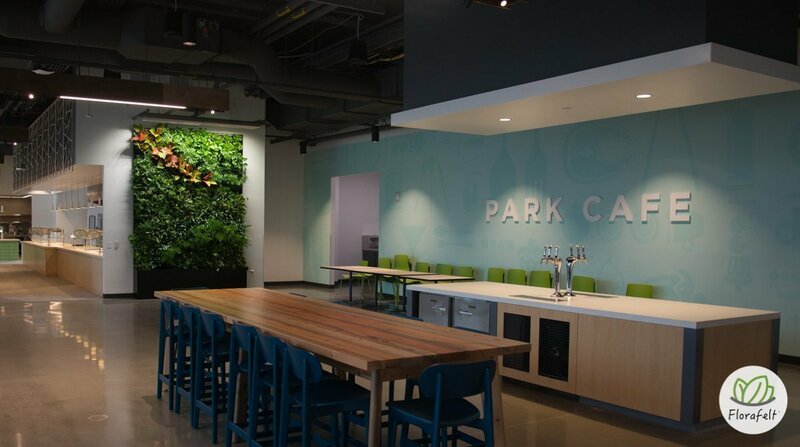 Plants give the library a natural feel that will benefit all students. 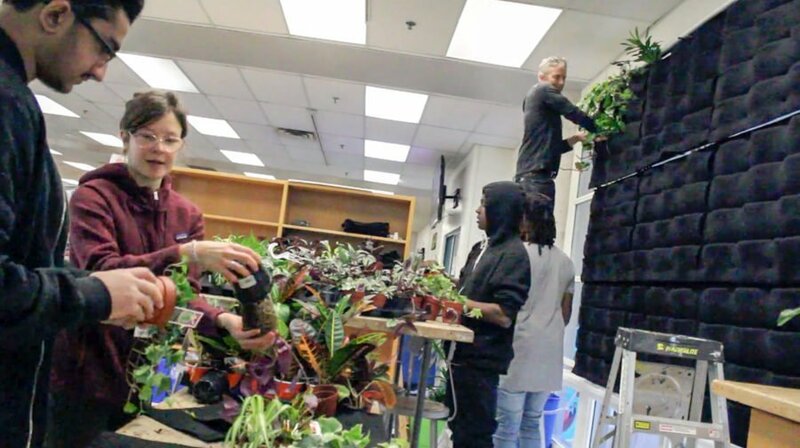 The project was led by Christopher Williams, the head of Personalized Education for Milliken Mills High School in Unionville, Ontario, Canada. 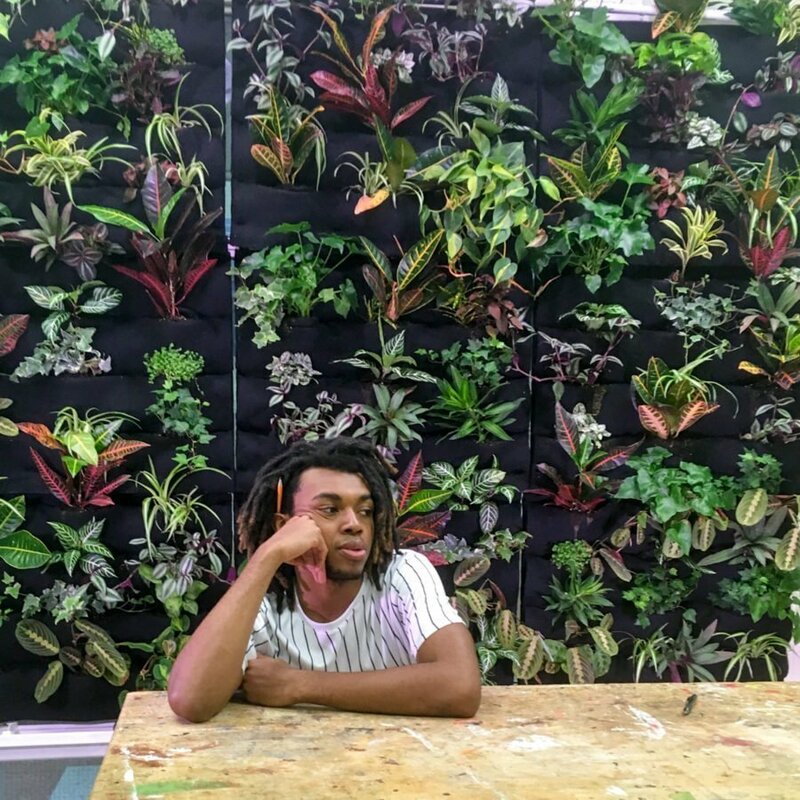 Maker Space, Making Space from Becca Williams on Vimeo. T.E.A.M., an Alternative Education program at Milliken Mills HS in the Greater Toronto Area, installs a Maker Space in their school library. Feat. Florafelt Vertical Gardens. Florafelt living walls by Terragarden Kuwait. 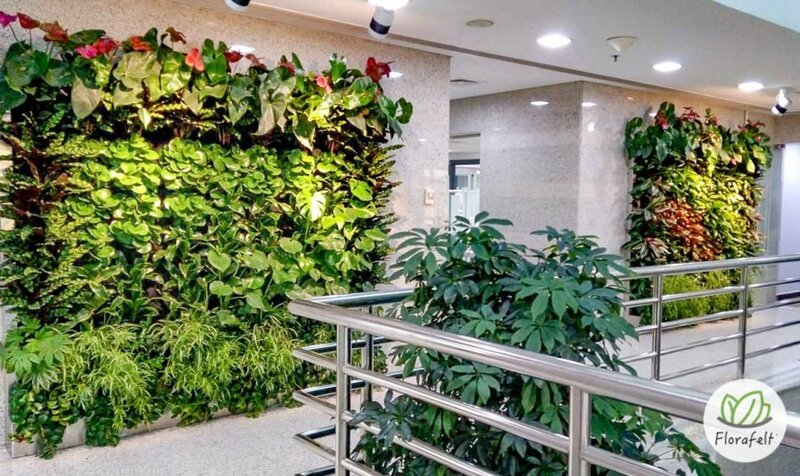 Florafelt living wall installations by Terragarden Kuwait. Rai Center – Shop 13&14 Al Rai Area Block 1, Street 54Bldg. 1832 Kuwait. Florafelt Vertical Garden by Adam Clark, Outpost India Basin, San Francisco. 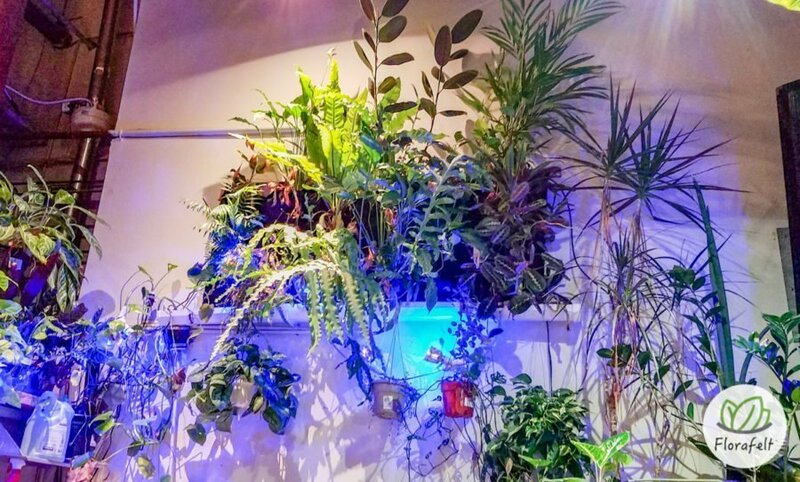 Florafelt Vertical Garden by Adam Clark at his live/work event space Outpost India Basin in San Francisco. 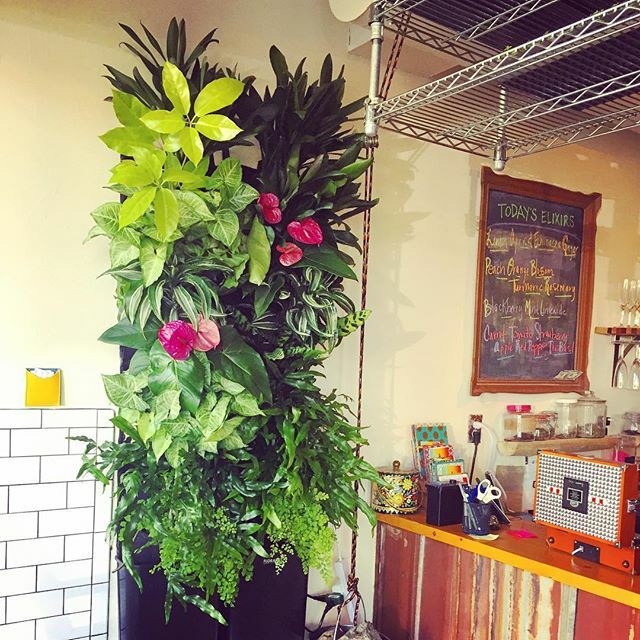 Made with two 12-Pocket Florafelt Vertical Garden Planters. 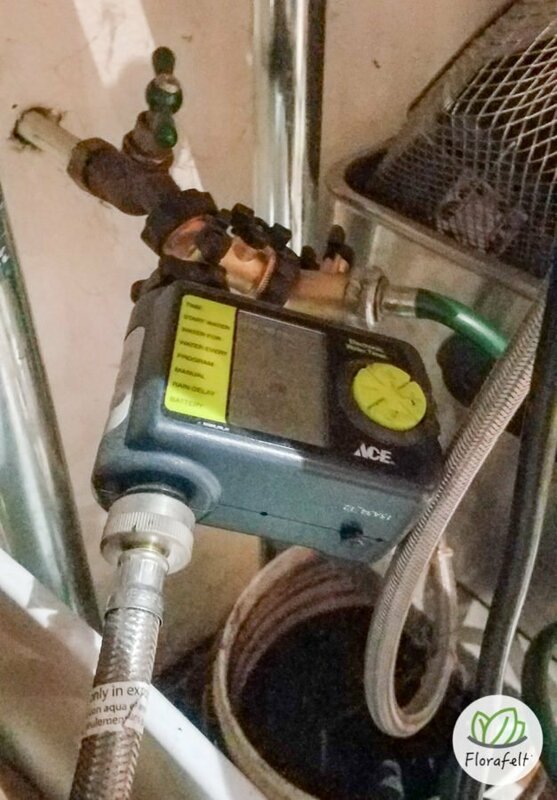 Watered by an automatic hose timer and drip line at top. 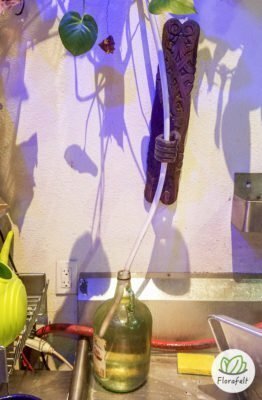 Moisture drains into a section of plastic gutter directed to a glass jug. Excess water is collected and reused for potted plants. 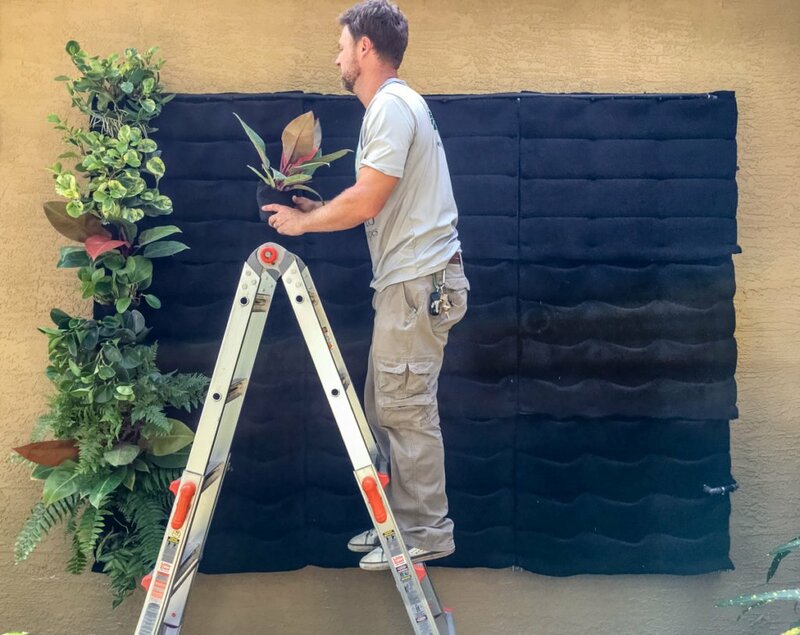 Florafelt Compact Kit Vertical Garden by Tucker Warner for a Culver City Los Angeles home. 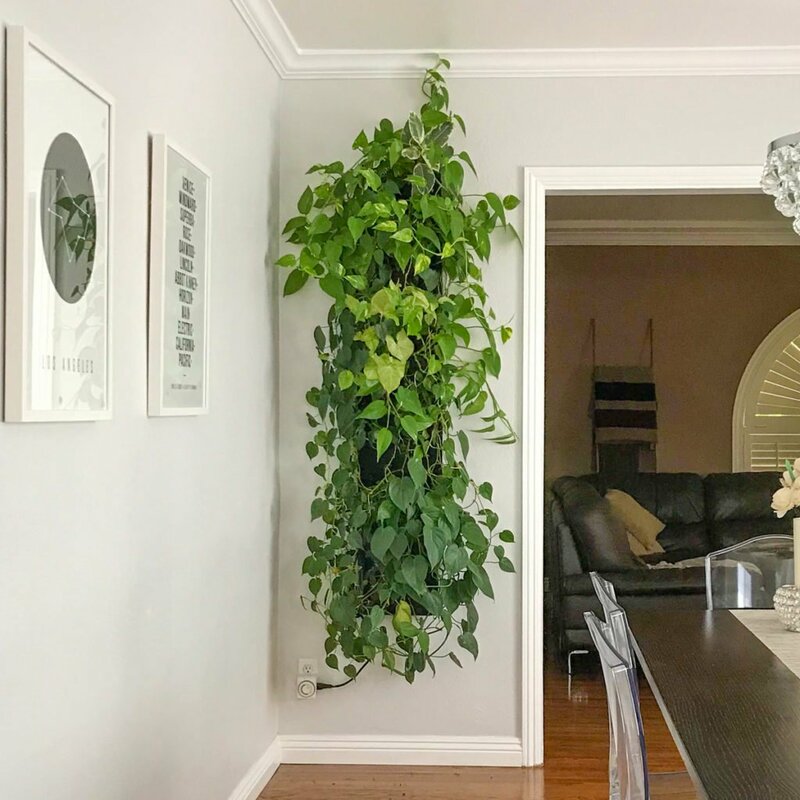 A Florafelt Compact Kit was used to create a stylish vertical garden for a home in the Culver City area of Los Angeles. 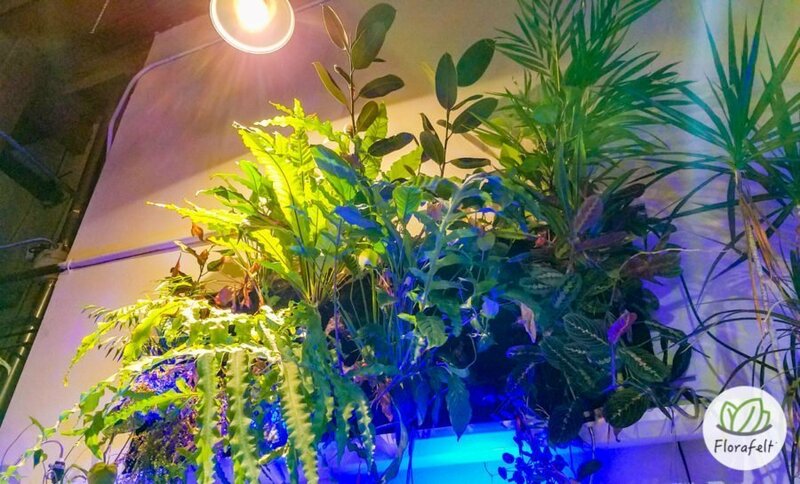 Designer Tucker Warner mounted the vertical garden kit on a shelf so it appears that the plants are floating. The draping leaves hide the tank, digital timer and cord. 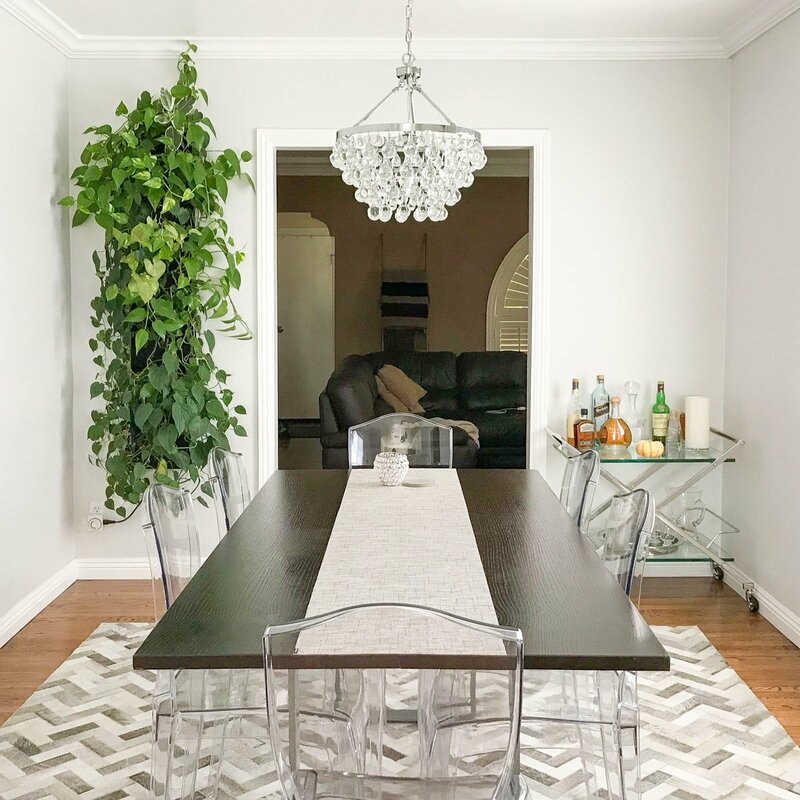 It’s an elegant and very simple way to add plants to interior design. 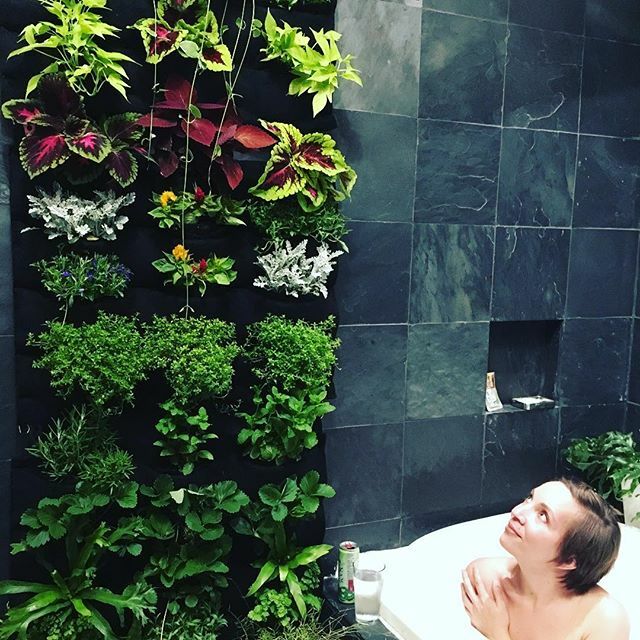 Florafelt Vertical Garden Planters were used to create a bathroom living wall experience for bathing. 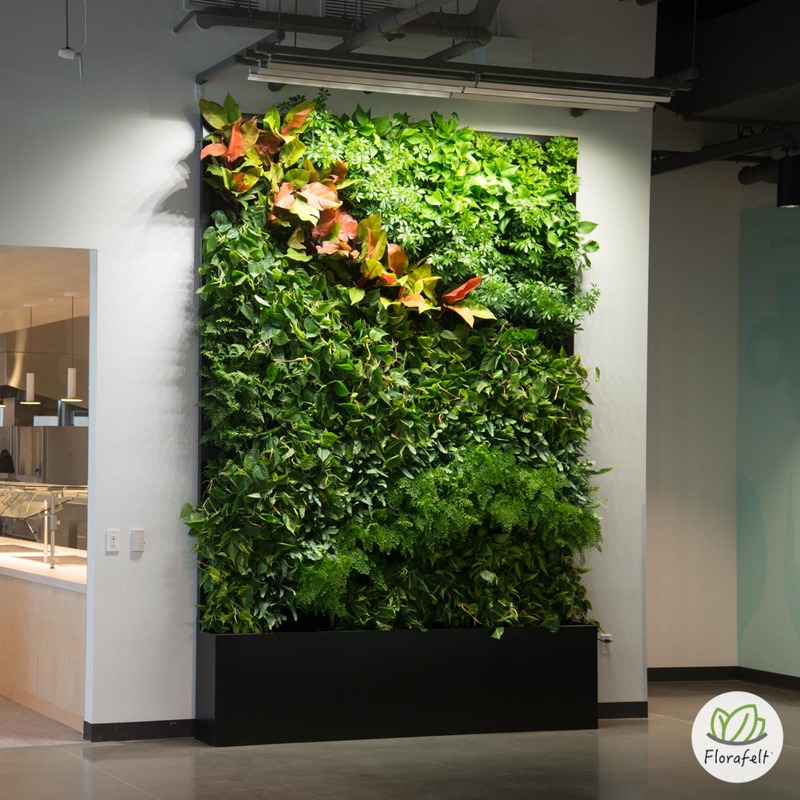 Florafelt Compact Vertical Garden Kits by Rebecca Sheedy of Floraform Design for Harvest Beat in Seattle. 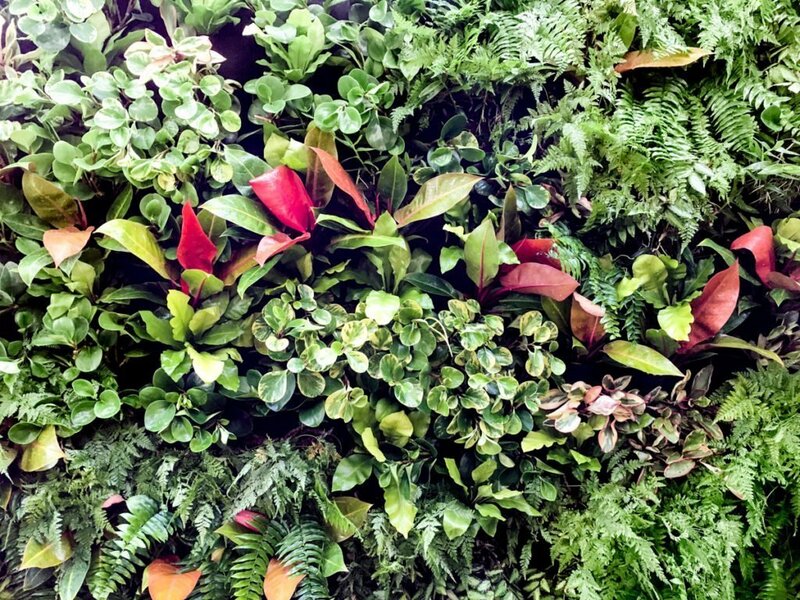 Rebecca Sheedy of Floraform Design Seattle is creating beautiful mini vertical gardens for clients with Florafelt. 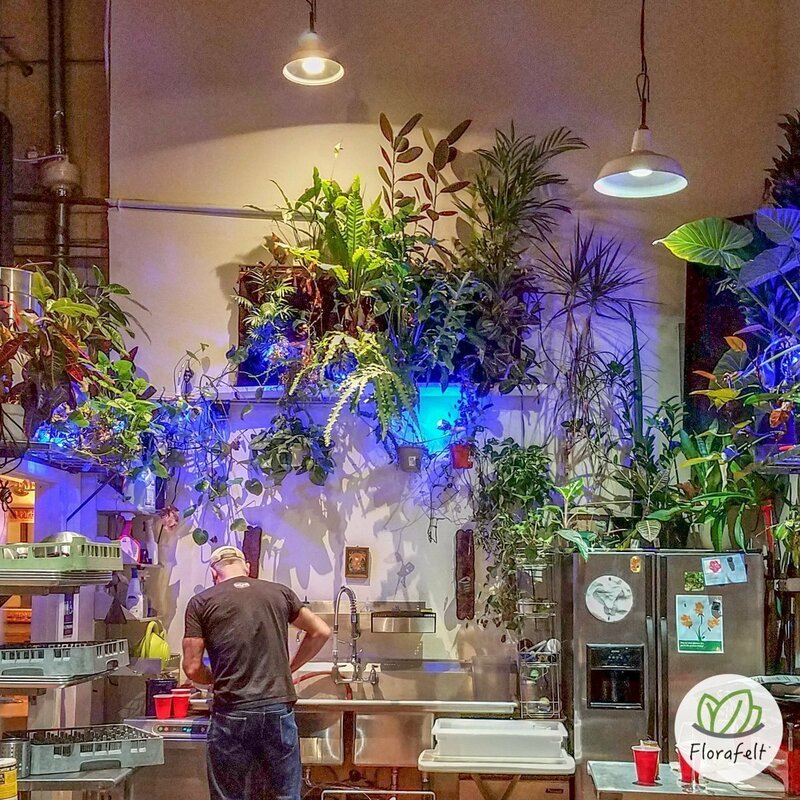 Harvest Beat is a vegan restaurant in Seattle’s Wallingford neighborhood dishing up local, seasonal, organic produce from farm and forest with love! Go feed your body and soul. Other projects include a creative use of the Florafelt Compact Kit with creative base enclosures that complete the design. 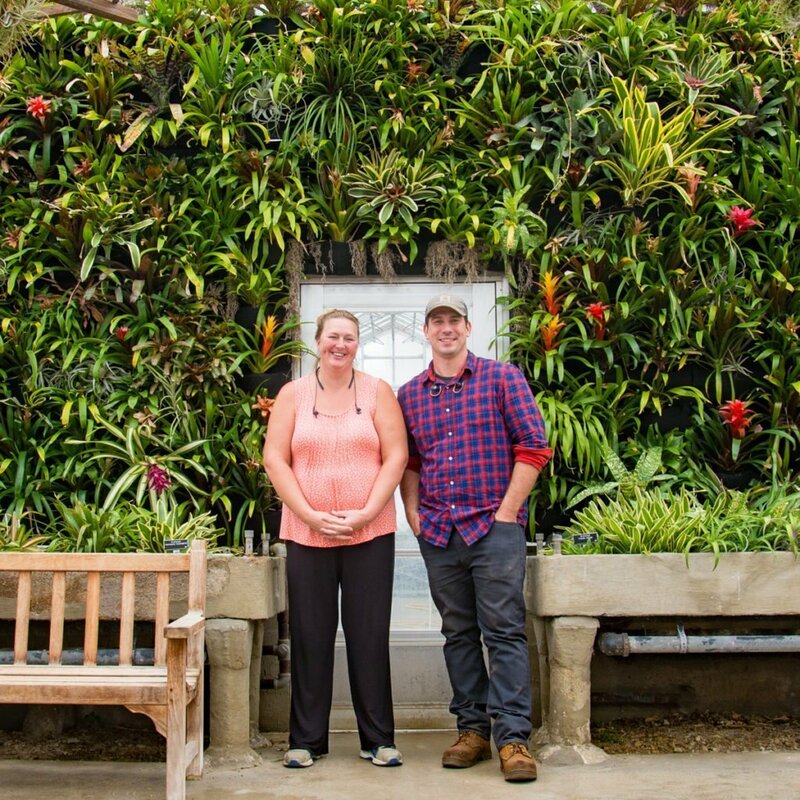 Seth Stottlemyer of Oasis Gardenscapes uses Florafelt vertical garden planters to create a wall garden for a private home. 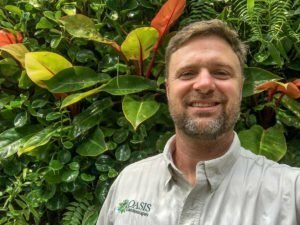 Seth Stottlemyer of Oasis Gardenscapes offers living walls in Sarasota, Florida. 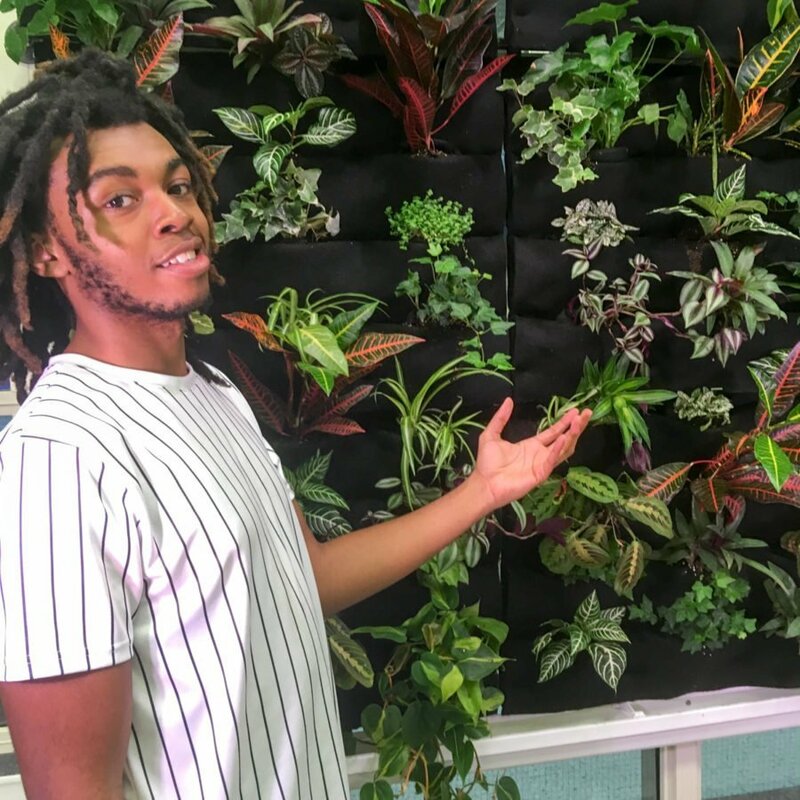 He has been using the Florafelt System for years and found it to be the most efficient and easy way to grow plants on walls. 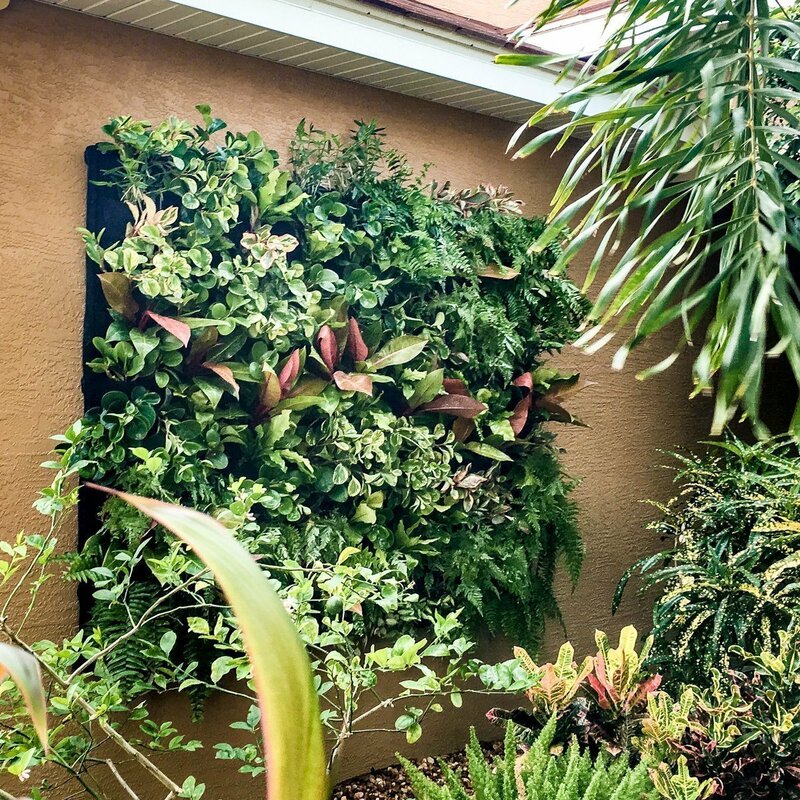 A combination of philodendron, peperomia and ferns make for a delightful living wall. It is simple to install the Florafelt vertical garden planter panels and root wrapped plants thrive in Florafelt. 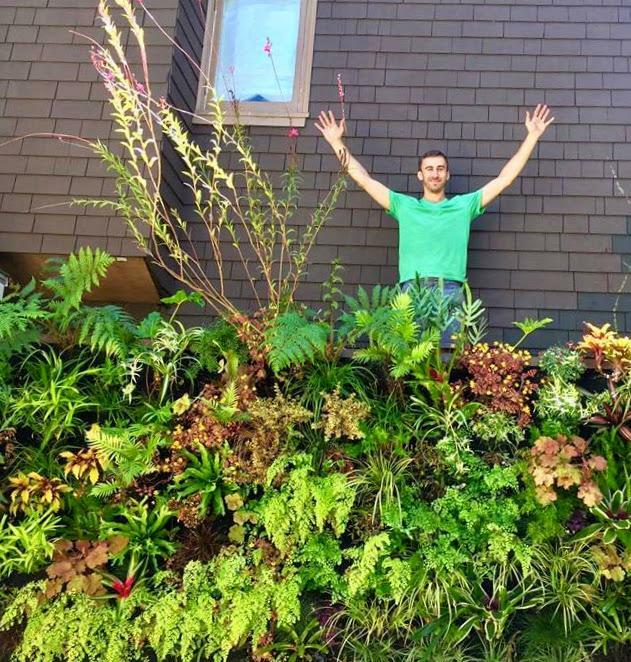 Seth loves to use the Florafelt system to create luxurious living walls for his clients. 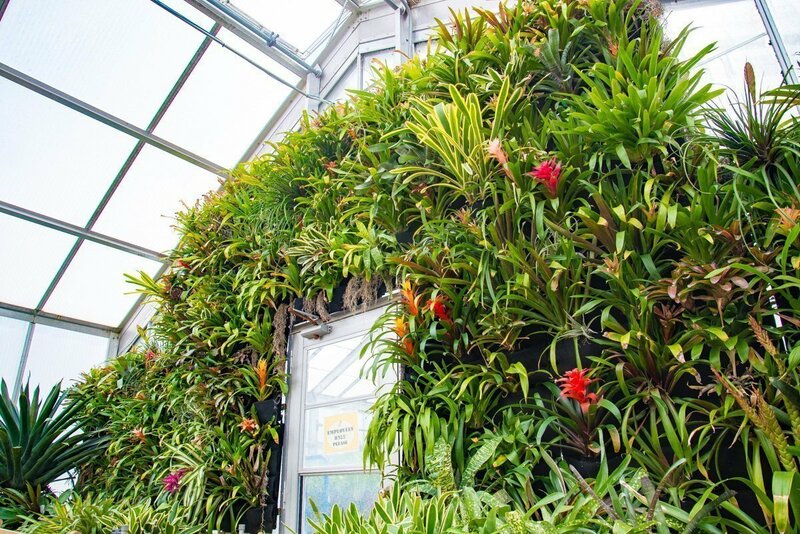 Bromeliads growing in a Florafelt Vertical Garden at Kingwood Center Gardens greenhouse. 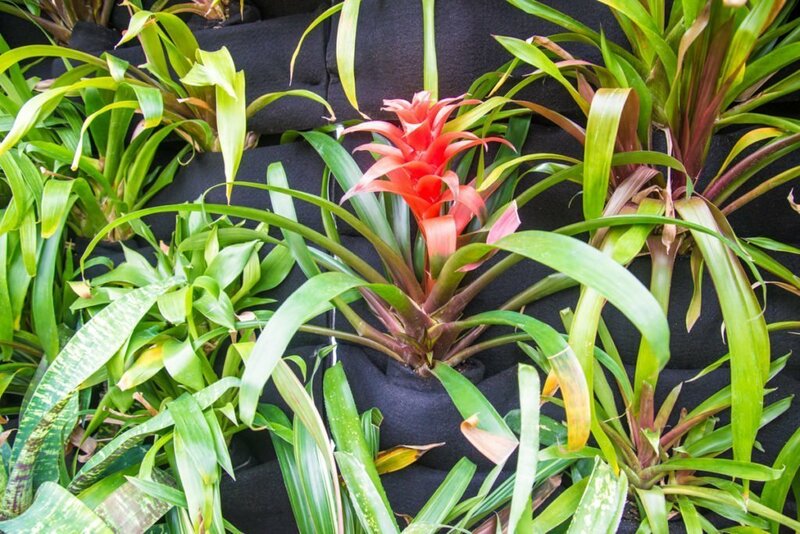 Kingwood Center Gardens add a living wall to accommodate a generous donation of bromeliads from botanist Jerry Raack. 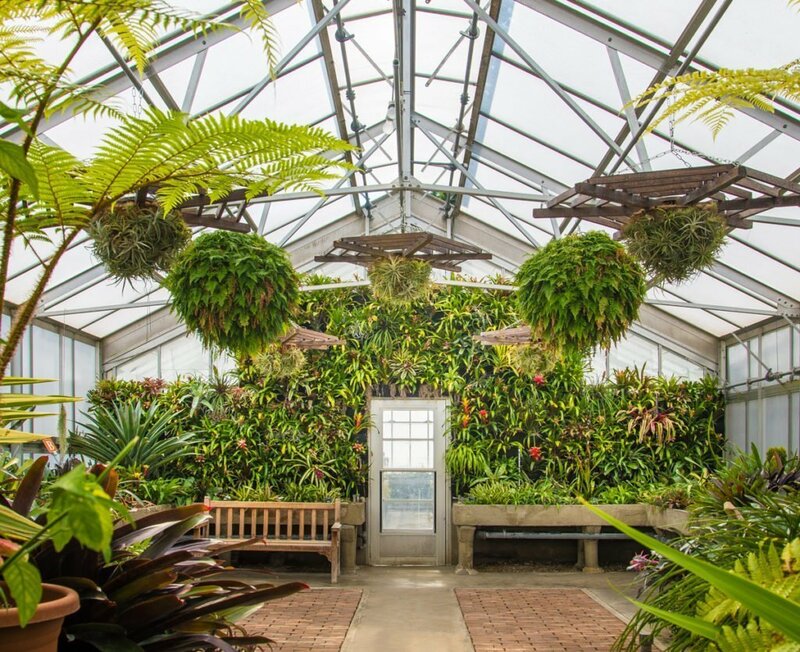 Florafelt Vertical Garden by Doug Schuster and Laura Mast at Kingwood Center Gardens greenhouse. 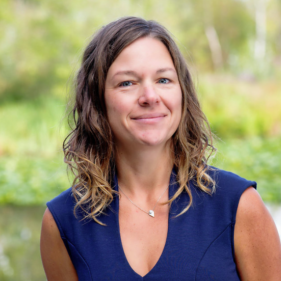 Greenhouse manager Doug Schuster asked production coordinator Laura Mast to find the best system. Laura researched online and discovered Florafelt vertical gardens. Bromeliad wrapped with a Florafelt Root Wrapper at Kingwood Center Gardens greenhouse. 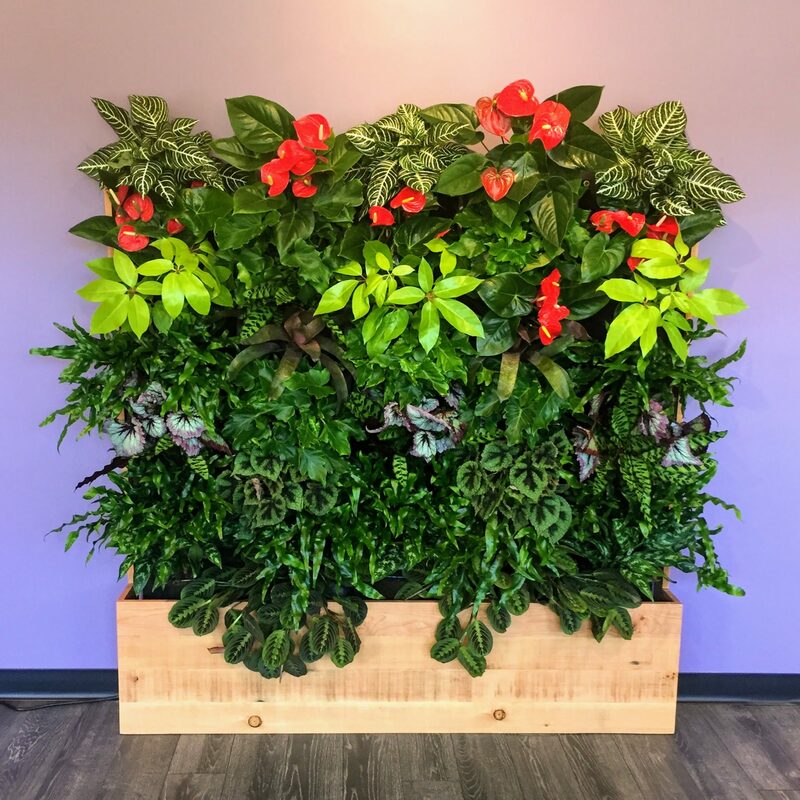 The Florafelt vertical garden planters hang from horizontal metal supports using s-hooks. The plants were wrapped and arranged into a beautiful display that boasts seasonal color. Bromeliads supported vertically in Florafelt show seasonal color at Kingwood Center Gardens. 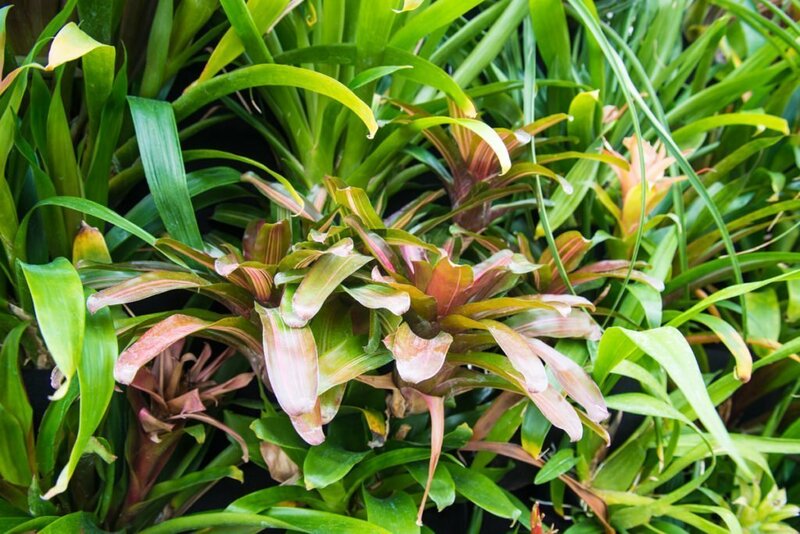 Bromeliads are epiphytes that require minimal roots and naturally grow in trees. Watering twice a week with a hand sprayer keeps them happy and thriving. Bromeliads grow vertically in Florafelt at Kingwood Center Gardens greenhouse. 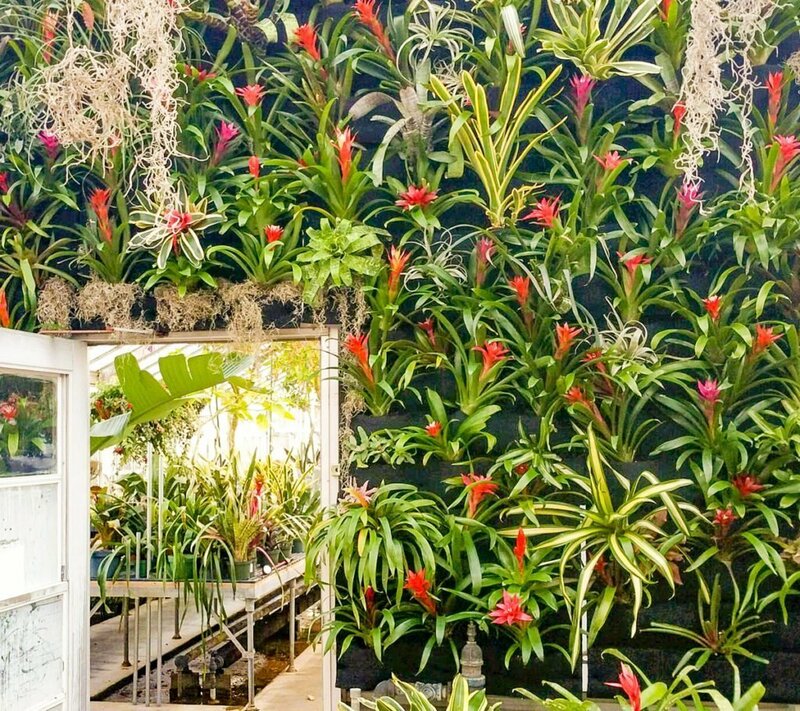 The bromeliads vertical garden greets visitors with an eye-catching and unique feature at Kingwood Center greenhouse.